Barbour’s formulation of Mach’s principle requires a theory of gravity to implement local relativity of clocks, local relativity of rods and spatial covariance. It turns out that relativity of clocks and rods are mutually exclusive. 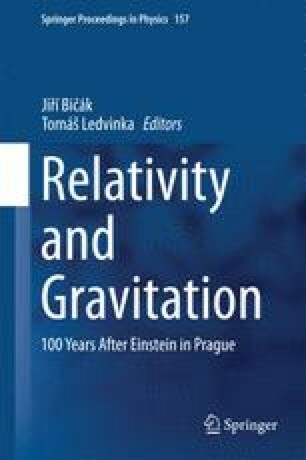 General Relativity implements local relativity of clocks and spatial covariance, but not local relativity of rods. It is the purpose of this contribution to show how Shape Dynamics, a theory that is locally equivalent to General Relativity, implements local relativity of rods and spatial covariance and how a BRST formulation, which I call Doubly General Relativity, implements all of Barbour’s principles. Research at the Perimeter Institute is supported in part by the Government of Canada through NSERC and by the Province of Ontario through MEDT.